Following our short inspection on 31 October 2017, St Mary’s Catholic Primary School continues to be Good. Pupils enjoy coming to school, are happy, work hard and want to do well. They develop as well-rounded, polite, friendly individuals who are able to talk confidently about their learning. They learn in a happy, calm and safe environment. They are nurtured and thrive at the school. 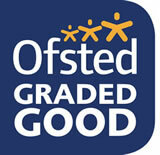 Pupils have excellent attitudes to learning and are proud of their school. You and the governors successfully tackled the issues highlighted in the previous inspection. Pupils are now adept at discussing their own learning and the progress they are making. The curriculum is broad and balanced and designed to meet the needs as well as the interests of all groups of pupils. Exciting topics are carefully selected to motivate and appeal to all. Work is linked across curriculum subjects to ensure that learning is meaningful and relevant. Assessments ensure that teachers know how well all groups of pupils are achieving in all subjects. Teachers know their pupils well and plan so that pupils have ‘Choice and Challenge’ in their learning. Your approach is to ensure that pupils are confident to take risks and challenge themselves and that teachers do not impose limits on learning based on pupils’ ability. You have ensured that children in the early years make rapid progress from their starting points. Your ambition, aspirations and determination to maintain and further improve the performance of the school are shared by staff, pupils and governors. You have created a culture of improvement through strong, supportive and collaborative team work across the school.